This St. Patrick’s Day Cookie Cheesecake Trifle recipe is a simple yet delicious recipe for a fun St. Patrick’s Day Treat. You will need oreos, cheesecake flavor pudding, milk, whipped topping, green food coloring, and sprinkles if desired. Crumbles your oreos in a blend until they form a fine sand. I love my Ninja Kitchen prep to complete these types of tasks. Prepare the pudding per the directions on the box. Add a few drops of food coloring into the pudding and stir. Spoon some cookie crumbs into the bottom of a glass. Spoon some of the colored cheesecake pudding on top of the cookie crumbs in the glass and smooth it out. Place some whipped cream topping on top of the pudding in the glass and smooth it out. Continue to layer until you are near the top of your glass. Top with whipped cream and add some St. Patrick’s Day Sprinkles. 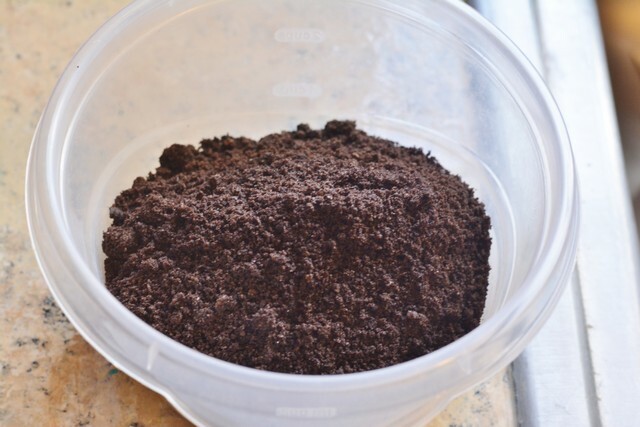 Place oreos in a blender and blend until they form a fine sand. I love my Ninja for this this! Prepare the cheesecake instant pudding accroding to package instructions. 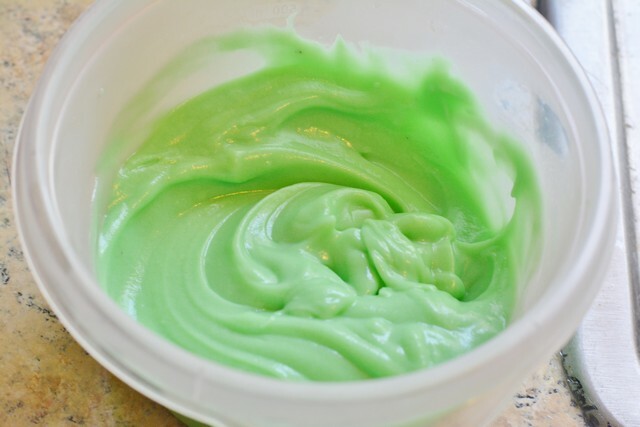 Add a few drops of green food coloring into the pudding and stir well. Spoon some cookie crumbs into the bottom of a glass. Spoon some of the colored cheesecake pudding on top of the cookie crumbs in the glass and smooth it out. Place some whipped cream topping on top of the pudding in the glass and smooth it out. Continue to layer until you are near the top of your glass. 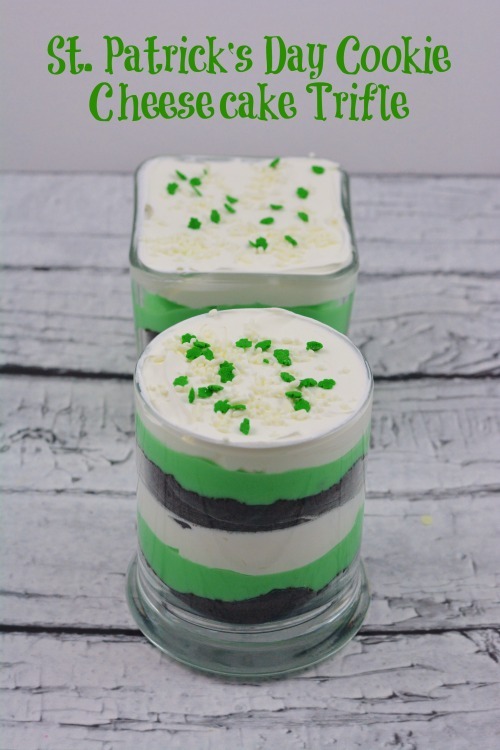 Top with whipped cream and add some St. Patrick's Day Sprinkles. 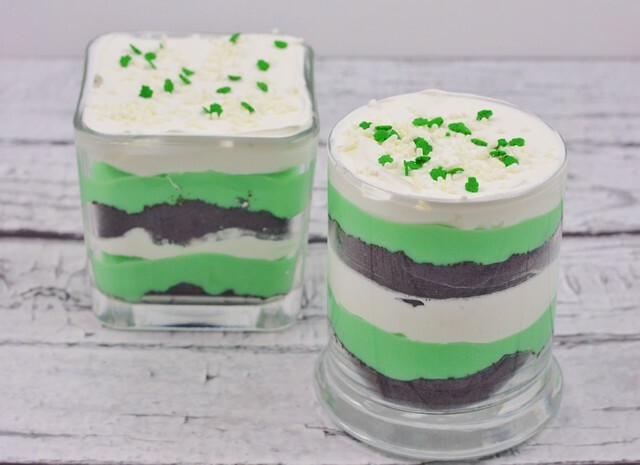 Ooh, oreo ANYTHING is awesome, but I love the added color and layering for St. Patrick’s Day! Pinned and tweeted your great recipe, thanks for sharing at Merry Monday! YUM! 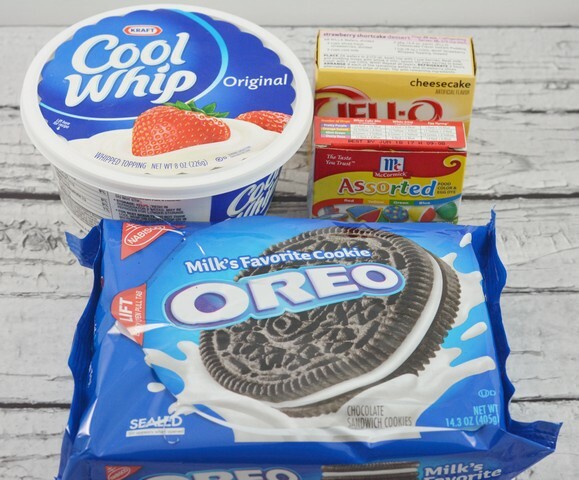 This looks SO good – such a great, easy treat!